JAMES Kevan was Horwich Harriers’ highest finisher and Janet Rashleigh took the honours with her excellent 21st place in the ladies’ V55 category win in the Lancashire Cross Country championships at Witton Park. Gareth Booth was second in the M45 category. He is having a busy racing calendar at the moment and followed up his win at the Blackpool five-mile race before Christmas by running the very competitive Ribble Valley 10k in 33mins 51secs for only 74th place, such was the quality of the field. Rob Jackson returned to Whitworth for another of Andy O’Sullivan’s regular 5k races, this one recognising the great work John Schofield does with his result service. In the New Year’s Day Awakener, Jackson was seventh overall and first M50 as he maintained the high standard he always sets. 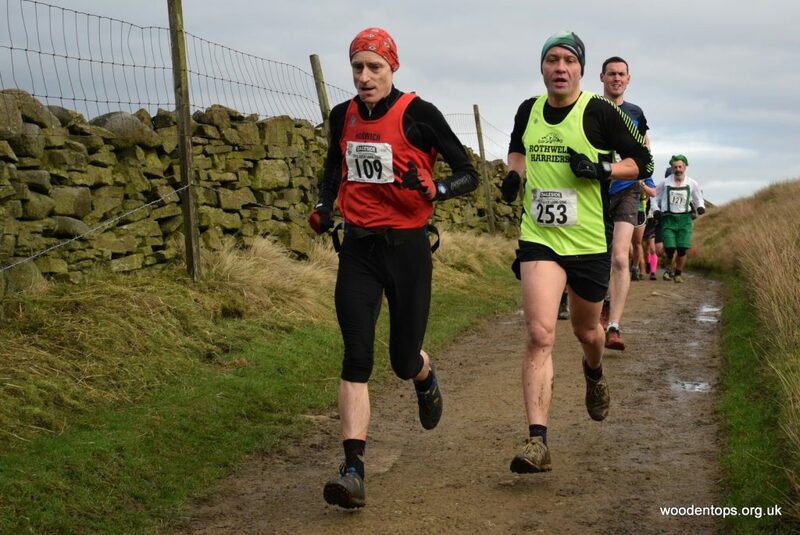 Graham Schofield has already won the Red Rose cross country series’ M60 prize and was first in his age category at both the Boxing Day Whinberry Naze fell race and the Auld Lang Syne fell race in Yorkshire on New Year’s Day. 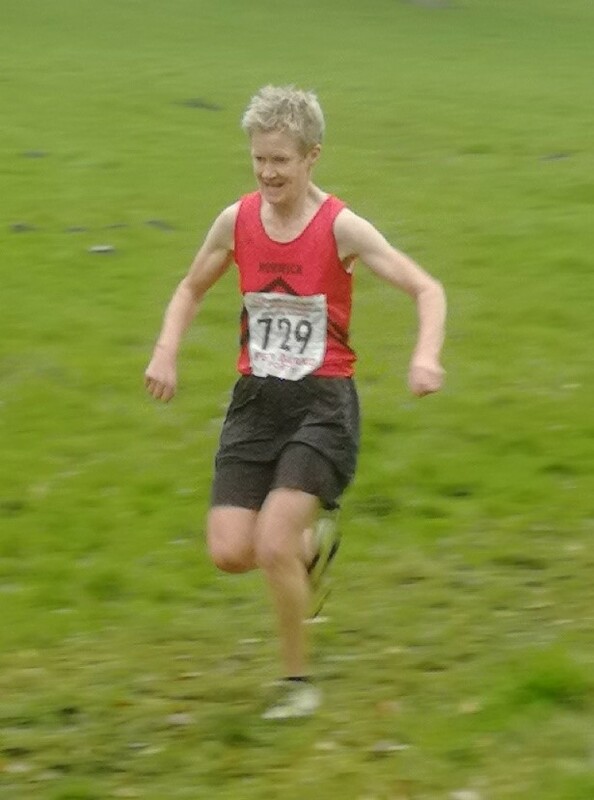 Last weekend he was second M60 at the first race in the Kendal Winter League at Scout Scar near Kendal. He won the Kendal series M60 prize two years ago and the race attracted a record field of more than 320 runners on Sunday. Charlotte and Isobelle Wilkinson made their debuts in the popular junior series, Charlotte finishing fifth girl as she entered the under-15 category for the first time. Colin Rigby and Gareth Webb have returned to Horwich colours this winter and are notching up creditable results. 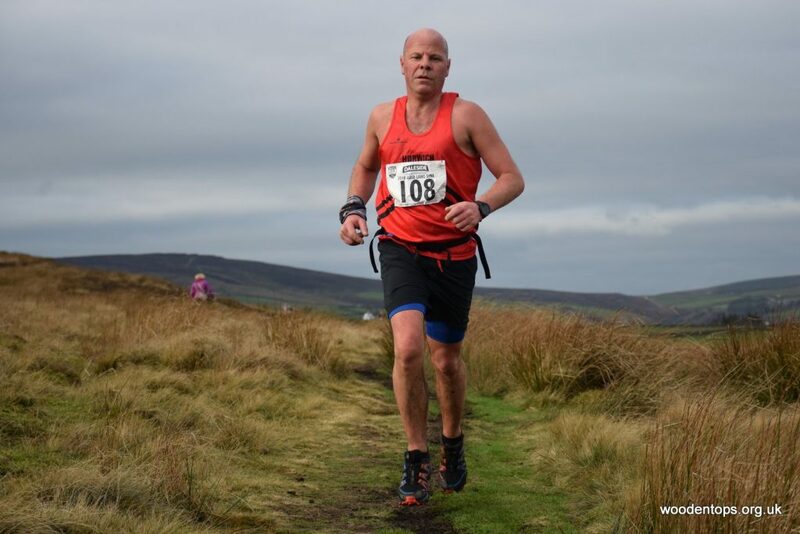 Rigby, who revels on fell descents, was 22nd at the Leyland 10k over Christmas and then 67th at the Auld Lang Syne fell race. Webb has built up race fitness in the cross-country season and went to Belgium for a placing of 164 at the Leuven 8k race in a field of more than 2,000. Sportshall Athletics League is a great starter event for the youngest athletes and Horwich, with a small team, recorded a tremendous effort in the autumn series with third place for the boys and ninth for girls. 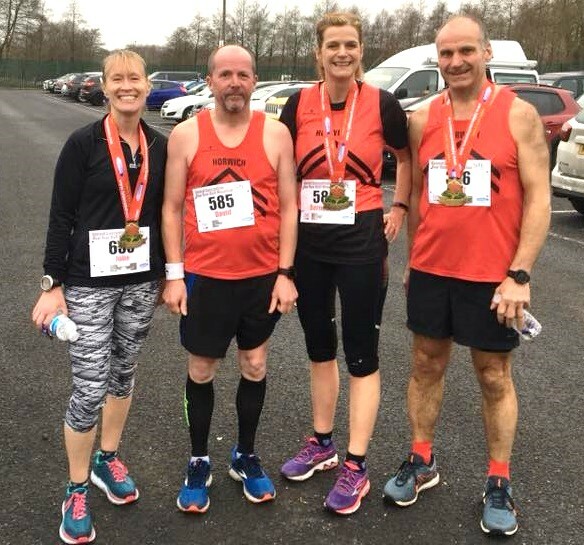 Meanwhile, also enjoying the fulfilment of competing for a club, members of the runners group had good results at the Central Lancs half marathon where Geoff Leech was particularly pleased with the age-category achievements, including a third place at M50 for David Unsworth. At parkrun, Nick Leigh and Richard Howarth were first at Sale Water Park and Cuerden Valley, respectively, and Eva Baldwin was first female at Haigh Woodland. Joe Mercer was second at Marple and Suzanne Budgett was second woman at Worsley Woods. 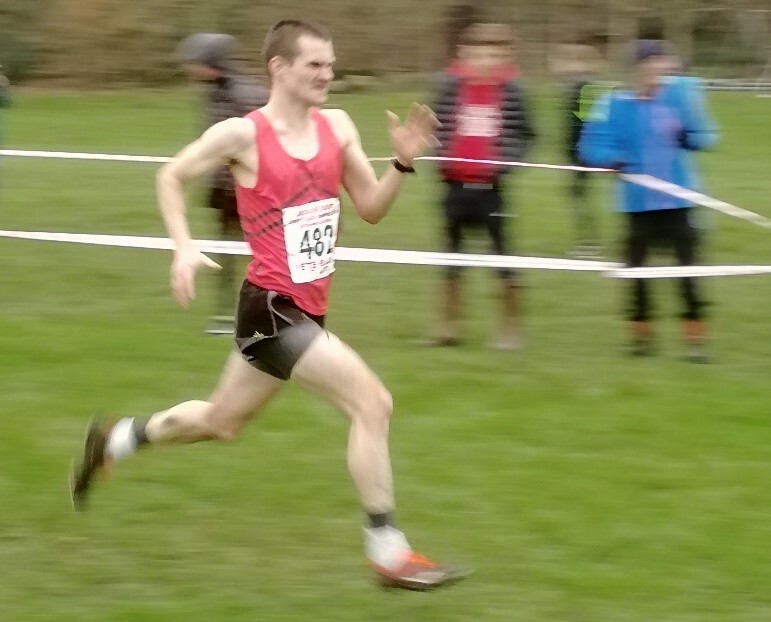 Toby Middleton got a new personal-best time of 18:30 at Bolton, finishing in third place, while Mary White equalled her PB at Haigh Woodland with a brilliant 87-per-cent age-graded result. Horwich RMI Harriers results: Lancs County cross-country championships – u11 boys – 26th Samuel Bradley 7:06; u15 girls – 15th Isabella Merritt 15:14; ladies – 21st Janet Rashleigh 27:26; men – 9th James Kevan 31:32, 39th Gareth Booth 34:11, 54th Alastair Murray 35:03, 60th Alex Fowler 35:22, 81st Mark Walsh 37:30; Central Lancs half marathon – 110th David Unsworth 1:41:55, 120th Geoff Leech 1:42:46, 227th Julie Williamson 1:55:14, 285th Bernadette Unsworth 2:00:29; Scout Scar fell race – 73rd Graham Schofield 34:07, 138th David Barnes 38:18; u15s – 16th Charlotte Wilkinson 9:44; u13s – 87th Isobelle Wilkinson 11:51; John Schofield New Year’s Day Awakener 5k – 7th Rob Jackson 20:45; Bowstones fell race – 12th Dan Gilbert 46:10; Auld Lang Syne fell race – 15th Julian Goudge 47:07, 39th Mark Walsh 50:33, 67th Colin Rigby 53:28, 76th Graham Schofield 54:40, 279th Jason Middleton 1:18:11; Leuven City Centre road race – 164th Gareth Webb 31:42.